Hey everyone! So, surprise surprise. The blonde hair is back! It’s been a while and I’ve kind of missed it I’m not going to lie. After doing my hair a few years ago I knew how to get it back to the light beach blonde shade you see before you. I’ve added a YouTube tutorial on how to get this look from brown/black hair (mine was a very very dark brown) I hope the tutorial is easy to follow but I’m going to guide you through the steps now and give a bit more detail on the process. 1). Mixing the bleach. I use Jerome Russell Bblonde bleach powder with the 40% peroxide bleach cream. This lifts hair up to 9 shades so it really is great for dark hair. Your box comes with 4 sachets of powder and you can buy the bleach separately. I used about 5 bleach tubs on my very short but very thick hair. So always buy extra, if you don’t use it the first time then you can use it on your roots when you need to bleach them. 2) Section your hair and using a brush or your hands (with protective gloves) work the blue coloured bleach through your hair until each section is completely wet with the creamy formula. Massage it into your scalp. This may sting a little but it avoids you missing any of your roots! 3) Wrap your hair in a plastic shower cap, failing that use a plastic bag. If the bleach dries out then it will stop working. Allow the bleach to develop. For dark hair it can take anywhere between 60-90 minutes but I prefer to keep the bleach on for 45 as I feel it’s enough. You can blast your hair with a hairdryer to speed up the process. 4) Check what colour your hair is every 15 minutes. Wash it off when you see a blonde colour or when the colour has not changed for 10 minutes. If your hair is still too dark then wait until it has dried and repeat the bleaching process. If you are worried about causing excess damage to your hair then wait two weeks before the second bleaching process. 5) Once your hair is blonde you can go ahead and use a toner to remove the brassy/yellow shades. I recommend using Jerome Russell Bblonde toner. I used one from Bleach London and Directions and neither of them worked but Russell’s was a dream. Leave your hair to dry after using the toner. 6) Leave Bleach London’s Reincarnation Mask in your hair overnight and wash out in the morning using a toning shampoo and conditioner. I would recommend Bleach London’s Silver Shampoo and Silver Conditioner. OR Fudge’s Blonde Violet Toner. This will help keep the brassy tone’s at bay and maintain the effects of the toner. Bear in mind the JR toner is not permanent and you will need to tone your hair every 2/3 weeks depending on how much you wash it. Pop your favourite toner into a bottle of your fav conditioner and use overtime you wash your hair. Failing that invest in one that is already made for you! DO NOT pull of put strain on your hair – it will break! I hope you all enjoyed my video & tips when bleaching your hair. What do you think of the transition? I’d love to know! ahah thank you! It was scary thinking it could go a carrot colour! I really like your hair bleach blonde! Luckily I already have really light blonde hair! 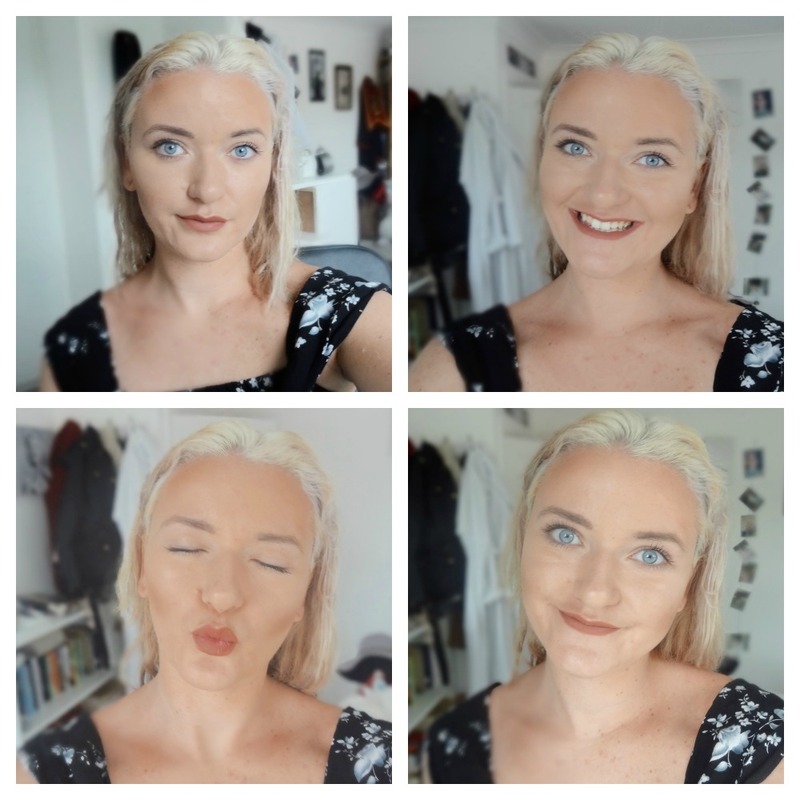 I went from black to blond – my hair broke! I was so upset haha! i also used Jerome Russell when bleaching my hair, i think its the best one out there. Yes! Me too, it always achieves great results. You look really good with blonde hair!! And your eyes are just the most wonderful blue. Agreed! I'd never use anything else on my hair. You've achieved such a lovely blonde colour you've done a great job it really suits you! It really suits you so much!